How do you review a film that you’re not allowed to talk about? 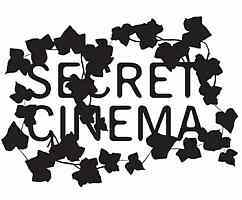 New film releases are generally placed under an embargo of some sort, but Secret Cinema – the London-based film event where patrons buy a ticket without knowing what film it is they are paying to see – puts me in an entirely new position. “Tell no one”, someone whispers whilst exiting a truly unique evening during their new December-January run. Secret Cinema is fast becoming London’s worst kept cultural secret. It’s been running for four years now, with the ingenious conceit extending beyond just the mystery film: you don’t know where you might end up and unorthodox locations are carefully chosen and inventively peppered with relevant tidbits from the film being screened. Previous events have screened Lawrence of Arabia (1962) with camels and Bedouins at Alexandra Palace; Canary Wharf transformed into a futuristic metropolis for Blade Runner (1982); and custard pies aplenty (with waterproof honchos) at the Troxy for Bugsy Malone (1976). This time, it’s not overstating it to say they have really pulled out all the stops. We are led to an unassuming former warehouse in east London and greeted by postwar military police. The five stories of the warehouse (which is often used a film set) are festooned with bars, cafes, restaurants, bedrooms, doctors surgeries, a police station, a post office, a laboratory. Live lounge music plays whilst people play craps and drink cocktails. Later, another British soldier gathers a small crowd, and announces: “There’s a rat in the sewer, and we’re going to flush him out”. And we find ourselves hurtling into the dimly-lit basement, doubling for a sewer, searching for the ‘rat’. The whole experience is exhilarating and ephemeral. The attention to detail is tremendous. The budget must be enormous. A programme handed out at the end credits a cast of around thirty and a crew of hundreds. After two hours of ambling around this enormous set, drinking spicy cider bought with ration cards, we’re ushered into a warehouse to watch the secret film. It’s a curious feeling, not knowing if you’ll be spending the next ninety minutes in the company of an endlessly familiar favourite, a film you only saw yesterday, or something uncharted. As it turns out, it’s a true classic of cinema, and all the events of the past two hours swiftly make sense. As cinematic experiences go, nothing will come close to being as immersive, enjoyable, exciting or as fun as Secret Cinema. Secret Cinema runs until 22 January, 2012. For more info, visit secretcinema.org.